Sedona Cake Couture: Sedona Cake Couture's Been Blogged! 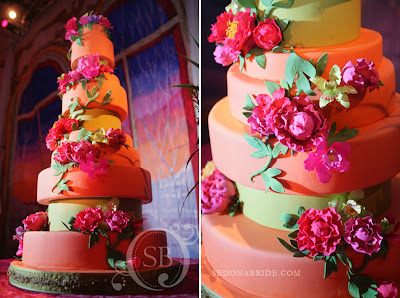 Sedona Cake Couture's Been Blogged! featuring Eventsbyshowstoppers.com floral and decor. Thanks for blogging us! GOR-JUHS!!!! What a beautiful spread. And Sedona Cake Couture a total star!!! i am a newbie and so amazed with the art work of the cake. fantastic!!! in between the cakes, was that a styrofoam being the cake separator?